Napoleon Hill, Author, Think and Grow Rich. 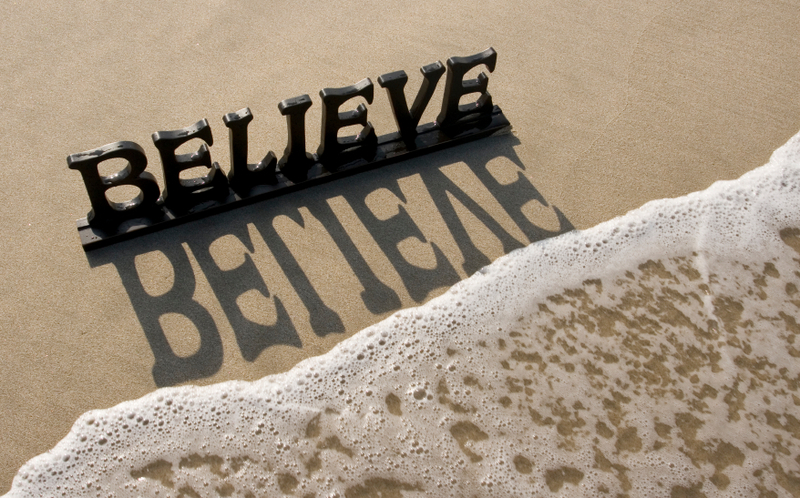 Have you ever noticed that sometimes the last person to believe in you is… YOU? Everyone else can see your potential shining out yet you can’t see it yourself? Instead self-doubt holds you back and you cling to old limiting beliefs. You’re waiting for that moment of FULL confidence and complete control of the situation before you will move towards it. It doesn’t work that way…The feeling of confidence and being in control never shows up… So you wait and cling on and stay stuck in the same place. I’ve been through this many times in my own life, especially when making a big transition. My own self-doubt has left me indecisively clinging to edge with white knuckles. I may let go with one hand, but self-doubt holds me back. Sometimes it feels like I just can’t let go…even though I want to be successful. In my experience, as a learning consultant and coach, most people fail not because of a lack of capability to reach their goal but because they simply don’t believe that they can achieve it. They don’t see their own value and worth. They can’t visualize their own success. This lack of belief leads to hesitant attempts, you dip a toe in, but you don’t commit fully. You start looking for evidence to support your limiting beliefs. If you believe that something is impossible, then you’ll not give it your all to make it happen – So it won’t happen because it becomes a self-fulfilling prophecy. The mind is so powerful. The only person who is really stopping you is…YOU! 1. Believing in yourself is a choice. You have to believe that you can do it and re-set your mind. Seriously – the choice of what you believe is up to YOU! Read, practice and get good at whatever you’re wanting to achieve. 2. Full decision on your part to be there. You have to decide and take FULL responsibility for stepping in and getting started. 100% commitment and no excuses! If you act as if it were possible, then you will get things done that move you towards your goal. You’ll start getting results. Be Imperfectly Perfect – it’s quite liberating! 3. Stop blaming the past. You can’t change the past, but you CAN influence the future starting today! Some limiting beliefs are passed on from families and social groups, even work environments. Don’t use this as an excuse to stay stuck. 4. It requires ALL your energy to be there. Energy goes where attention flows… Ensure that your energy is focused on positive self-talk, affirmations and on achieving a result. Don’t allow it to be distracted by any Lizard Brain activities. 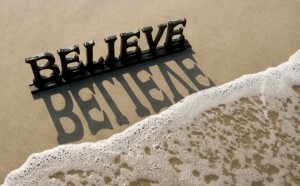 YOU really CAN achieve whatever you want … if you DARE to believe! This is a great article….I really like #4. It’s so important to realize how critical energy management is. Not only is our energy so powerful, it’s not infinite. Thanks for the encouragement!!!!! Laura – Thanks so much! You’re so right #4 is so important.It’s amazing how unconsciously we allow our energy to soak away. Elaine – sharing on FB today. The world needs more of this energy! Great article! Tammy – Thank you for sharing this post – You’re so right, my friend! How are you doing? Great reminders! What you believe SOOOOO controls your actions whether you know it or not! Uncovering those limiting beliefs so you can consciously choose new ones — now THAT’s Inner Power at its finest! Great thoughts Stephanie thanks so much for sharing them. Rainbow blessings to you too.